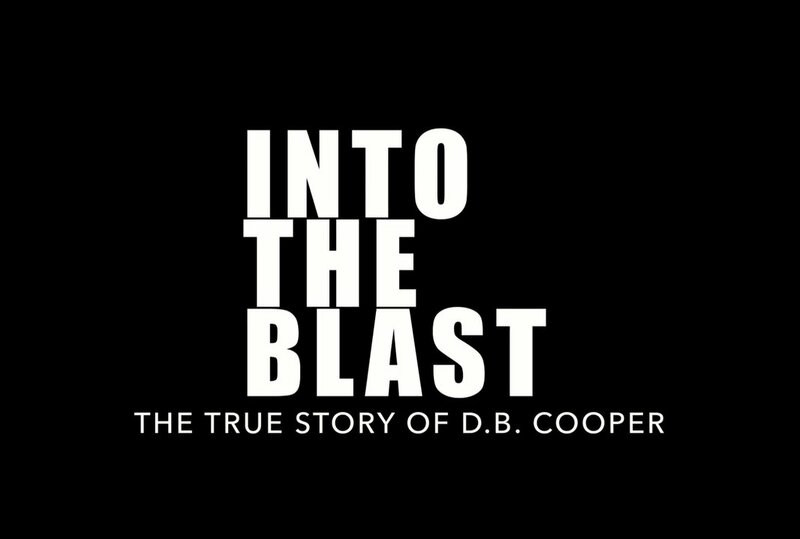 It was tough getting the news that Skipp Porteous, my co-author on the book Into The Blast – The True Story of D.B. Cooper, had passed away. For the last few years he had suffered from aphasia, and he began having trouble using a keyboard or communicating verbally, although his mind remained sharp as a carpet tack. The Cooper book wasn’t his first book, however. Before forming Sherlock Investigations in New York City, Skipp had actually been a fundamentalist preacher. Over the years, he had a change of heart about that work, and detailed his journey in his 1991 book, Jesus Doesn’t Live Here Anymore, which is still available at Amazon. I bought a copy not long after we started working together on the D.B. Cooper case, just to get a handle on the guy who was sending me on interviews all over the Northwest USA. In the nine years I knew Skipp, I never actually met him. But over the years I grew to KNOW him quite well. He had skills on determining when people were lying, or hiding something, or when someone needed to be questioned. In late 2008, I saw his name mentioned in an article by author Geoffrey Gray, who would later go on to write his own book on the Cooper case, Skyjack. There was a mention by Skipp that he was considering a book on the suspect discussed in the article, Kenneth Peter Christiansen, a former US Army paratrooper and an actual employee of the airline that Cooper had hijacked for $200,000. On the day I read the article, I made a fateful decision that would change my life. I decided to contact Skipp and offer him my services as a book editor, and to possibly even publish his book. I also said I lived just down the road from where his suspect once lived, and I found the whole subject interesting. Skipp Porteous zeroed in on Ken Christiansen early on as a strong suspect in the Cooper hijacking, and later determined that the man with him in the picture, Bernie Geestman, was most likely his accomplice in the crime. Skipp emailed me back right away, saying he had already been to Washington and done some investigation on the case. He had identified certain folks who he thought needed to be interviewed, but he had run out of time to do it. He was mainly based in New York, he said, and the investigation he had done up to that time had been on his own time and expense. Then he surprised me with a question. Would I be willing to travel around and do the interviews? Instead of just becoming his book editor and publisher, he wanted me to hit the bricks here in Washington, while he provided support work back in New York. What did I know about private investigating? I thought. I was a book editor and a part-time science fiction writer, an outdoor guy who enjoyed camping and fishing. Skipp Porteous was a pro PI who got hired to sweep rock stars’ hotel rooms for bugs, or do background checks on people. His agency was well-known in New York. My curiosity on Christiansen, who lived in my former hometown of Sumner, Washington at the time of the Cooper hijacking, got the best of me. I agreed to this arrangement. After I did, Skipp sent me a big package of confidential files and pictures, covering all the things he had run up on Christiansen, and the people Christiansen knew. I started traveling around on weekends hunting down people all over the Great Northwest. At first, I didn’t think it would amount to much. But it wasn’t long before I realized Skipp’s instincts about Christiansen had been correct. I even developed some leads of my own, while Skipp would run the reports and send me updates on anyone I requested. We exchanged almost a thousand emails over an investigation that lasted eighteen months. At the end of it all, we published a book about it. It didn’t end there. History Channel contacted us and wanted to dedicate an episode of their new show, Brad Meltzer’s Decoded, to exploring the idea of Christiansen as the hijacker. I wanted Skipp to make an appearance on the show, but unknown to me, he was already suffering in the early stages of his aphasia, and finally admitted he might not be able to go on the show. It was left to me to be the representative for the book, and to present the case against Christiansen, as well as the alleged accomplice Geestman, on national television. I tried to represent us well. As time passed, Skipp’s condition became worse. His messages were sometimes garbled, but I got the idea. In January 2017, I signed an option with a film company in Los Angeles to do the first-ever dramatic feature film on the Cooper hijacking. It’s been a long road since the signing, but they are finally trying to cast the movie. Skipp Porteous, from his 1991 book. Before Skipp died, I told him he had been vindicated on Christiansen and Geestman. The film production company, I said, had decided to present Christiansen in the movie not as a maybe, but as D.B. Cooper on a matter of historical fact. Geestman’s own family had finally come forward, I told him, and provided details that convinced the production company to go forward with that approach. I knew Skipp might not live long enough to see the final result, but I’m sure he was happy that he had hit the nail on the head. The fact that he was right, and we were able to convince the production company he was right, was no surprise to me. Skipp had a good instinct for these things. I will miss him. Skipp was a friend and confidant. I miss his kindness, his good humor and his brilliant mind. Sorry to hear of your passing. Mr. Porteous May you rest in Peace. Although, I never met you it was nice that you returned my email on the DB Cooper skyjacking. Sorry to all who loved him.